VeHeat is the most innovative system in bus climate for years. The patented VeHeat system combines two technologies in one product, radiation heating and convection heating – for the most comfortable heating on the market today. VeHeat is the most innovative and effective heating system on the market today. VeHeat units are wall-mounted convector radiator heaters. VeHeat works through a combination of radiation and convection heating, ensuring effective heat distribution through the compartment in which it is fitted. The VeHeat convector body is aluminum, which is both recyclable, durable and easy to clean. VeHeat will give you a nice finish and a long lasting solution throughout the vehicle’s lifetime. 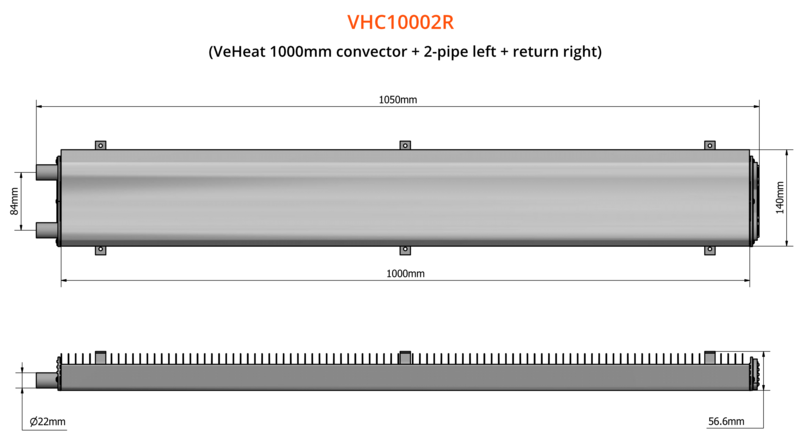 VeHeat can be supplied in up to 7 metre lengths, cut with precision to the millimeter depending on your application. We can supply any length that you need! VeHeat is pressure-tested up to 6 bar.